Formed in 1981 in Los Angeles, California, The Bangles were originally a trio of Susanna Hoffs (guitar/vocals) and sisters Vicki Peterson (guitar/vocals) and Debbi Peterson (drums/vocals). The girls started out in 1980 as The Colours, changing their name to The Supersonic Bangs and then The Bangs. 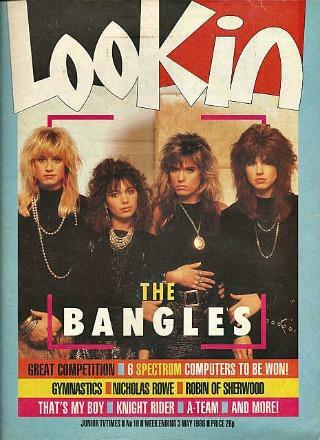 However, a legal challenge led them to finally become Bangles, and then The Bangles. Other members of The Bangles have included Annette Zilinskas (1982-83) and Michael Steele (1983-1989 and 1989-2005) who was also in The Runaways. By the way, Michael Steele is female to avoid any confusion! During the eighties (between 1986 and 1989) the band achieved success with eight Top 40 singles in the U.S. and UK. The girls split-up in 1989 but reformed again ten years later. They released a new album in 2011 entitled Sweetheart Of The Sun. This infectious 80s rock/pop single became the first major hit for the band, reacing No.2 in both the UK and U.S. main singles charts. The track was lifted from the platinum-selling album Different Light which achieved 3x Platinum in the US. The song was actually written by Prince and was originally offered to Appollonia 6, before being offered to The Bangles. The other big hit from Different Light was Walk Like An Egyptian, which was a No.1 in the USA and No.3 in the UK. "IF SHE KNEW WHAT SHE WANTS"
The second single release from Different Light was a cover of a 1985 track by the American singer/songwriter Jules Mark Shear - he also penned the hit song All Through The Night for Cyndi Lauper. Shear's original song only reached #57 in the U.S. during 1985. 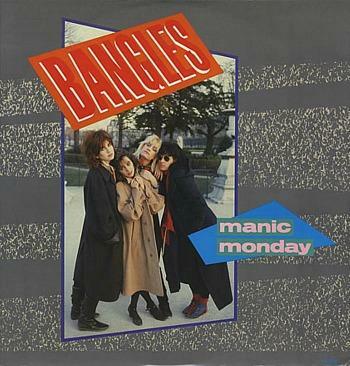 The Bangles version fared better, reaching #31 in the UK and #29 in the U.S. although it wasn't as commercially successful as their previous single Manic Monday. The band's third release from Different Light topped the charts in the U.S. and peaked at #3 here in the British Isles. Interestingly, they songs lyrics were penned by Liam Sterngerg after he spotted people walking with great difficulty whilst trying to keep their balance on a ferry. 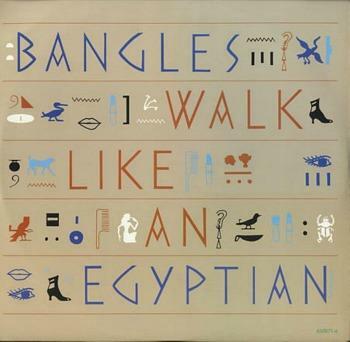 Walk Like An Egyptian is the first song by an all-female group who play their own instruments to top the Billboard singles chart. 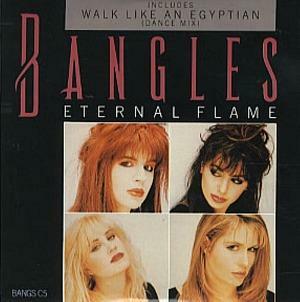 "Eternal Flame" was a dramatic and moving eighties ballad was lifted from the band's third album Everything, and topped the charts in nine countries including the UK.